SCUBAPRO Reel: a versatile accessory for search & navigation dives and mandatory for cave dives, to assure safe return to the entry point. 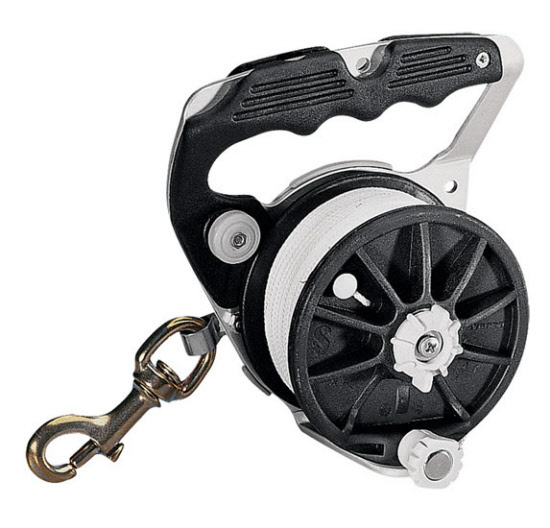 • High-resistance anodized alloy frame for guaranteed long-life and nylon fi berglass reel & handle, keeping it light to carry yet robust and durable. • Includes 75 m length of 2mm diameter polyester line and one swivel hook for immediate use.